CashCrate Review (July) 2018: Legit or Scam to Make Money? 2017 has seen more paid surveys and Get Paid To (GPT) sites than ever before, all claiming to be the best and the most profitable. In this review we look at CashCrate, where members can earn cash completing offers and participating in surveys. The question is, can you make money from it? Is it a waste of time or, worse still, a scam just like Points2shop? Check out our verdict below. Signing up is easy enough and only takes a few minutes. It’s always a smart idea to create and use a new email account when you are starting out on a new site, in case the site sends you more invitations than you might like. Once you have submitted your personal information you are asked to complete a short profile survey so CashCrate can learn more about you and determine your demographic (allowing you to earn your first twenty five cents in the process). Once that is done, you’re ready to get started. There are a number of ways to make money on CashCrate, an impressive variety when compared to other GPT and paid survey sites. As well as completing the usual research surveys, you can also complete free and paid offers. These offers are provided by companies who will pay you to sign up for their website or to try out a service. Alternatively, you might receive coupons via email. The conditions to complete an offer may vary, but they’re usually very straightforward and you get credited immediately. Easy money, especially since a lot of these offers only take a few short minutes to complete. Paid site reviews often overlook the design, but it is a fairly important aspect considering the amount of time many people will spend on these sites completing offers or surveys. CashCrate does well in this regard, with an eye-pleasing site that is more of a user-friendly and intuitive experience than a lot of other GPT sites. There is no flashy junk that might contribute to longer loading times, and the search results are laid out in such a way as to clearly show whether offers are paid or free, or whether they require your credit card number or other financial information in order to complete. Free and paid offers are your best bet when it comes to making money on CashCrate. These offers can be distinguished by a dollar icon beside the listing. With paid offers you have to pay (as the name implies) a certain amount in order to claim the offer. What you get back is worth more than what you paid in the first place, resulting in a small profit. The more money an offer costs to complete, the more you will get paid. We signed up for a few offers without issue, and if you keep at it you can make a reasonable amount of money. Occasionally you might even be lucky enough to find an offer for a product or service that you actually need, meaning that you can get paid for a purchase that you would have made anyway. Even if you do not, you will likely find something that appeals to you – offers vary dramatically, including everything from gift cards to airline tickets. Make sure not to neglect the free offers though – these can just as profitable, and are even easier to complete. Always remember to watch out for recurring payments – a lot of paid offers will require you to pay for a month of service, and if you forget to cancel these then you might very soon find yourself losing on money on a product or service that you never really wanted in the first place. As well as offers, you can also make money with CashCrate by completing surveys. We qualified for nearly all the surveys we attempted, but it is important to remember that you will never qualify for every survey that you try to take. However, it should be noted that CashCrate is not primarily a survey site. Any surveys available are ones that have been outsourced to third parties. This, unfortunately, means less earnings. We found that we could make more money more quickly by completing surveys on a dedicated survey site like MySurvey. This was the case even when we selected surveys through the Top Surveys and Bonus Surveys tab. If you do decide to persist with surveys on CashCrate, be aware that the surveys in these tabs are often exactly the same as those in Free Survey tab, but with a higher payout. The surveys are clear, professionally written and easy to complete, but again, if your main aim is to make cash, you’re better off sticking with the offers. You can also make money on CashCrate by watching videos (read:advertisements) and through Cash Task, a low-paying job system where you can complete menial work. There are also games and contests where you can win prizes and socialise with other members. If you really enjoy these sections, by all means make the most of them. If not, they are not worth your time. CashCrate has a surprisingly generous multi-tiered referral program, one that we would have to call the best in the whole paid survey and GPT market. How can we make such a bold claim? It works like this – when you refer someone, you earn twenty percent of what your referrals earn. If you referrals go on to refer other people, you will make an additional ten percent of what they earn! If you can recruit a large number of new members then these levels increase even further, to thirty percent of your referrals’ earnings and twenty percent of their referrals’ earnings. You also win small bonuses when your referrals reach a milestone, like their first ten dollars. We think that this is fantastic model, one that ensures a steady stream of new members while also rewarding current members. Some members report earning upwards of a thousand dollars a month from the referral system, a sum that overtakes their survey and offer earnings. Many paid survey and GPT sites run point systems that are rigged in their favor, where the user is expected to earn an insane amount of points before being able to redeem a pitiful amount of cash. Those sites are not worth it. CashCrate doesn’t do this, instead choosing to reward your efforts with cold hard cash. The payout is not high but it certainly is not low either, with many members reportedly earning about $100 a month on the site. Checks can take nearly a month to receive but they do (eventually) arrive, and CashCrate sends an email to let you know when your check is on its way. In order to participate in some of the offers you will need to reveal your financial information, a deal breaker for some and at the very least a red flag. To assuage any uncertainty CashCrate has a gallery where members can upload photos of their check to prove that they have in fact been paid. It is a nifty move on CashCrate’s part to encourage a sense of community among its members while also demonstrating that their site is legit. Six million people use CashCrate, and they issue thousands of dollars worth of checks each month. There is no shortage of paid survey and GPT sites in 2017 that would try to scam you out of your money, but thankfully it seems as though CashCrate is not one of them. We should make one thing clear – if you decide to use CashCrate, you will inadvertently be interacting with third parties – third parties which, for the most part, are entirely trustworthy. Trustworthy or not, they do not feel as much pressure as CashCrate to provide a professional service. If you have any doubts whatsoever about an offer, trust your gut. Handing over your credit card details when you are not one hundred percent sure is simply not worth it for the few dollars you will earn. Forums and reviews all over the web give CashCrate good reviews. Survey Police gives it a respectable three out of five stars, although that is based on only eleven reviews. Most are the kind of glowing five star review that makes you wonder how anyone can love a survey site that much, counteracted by the occasional disgruntled one star. One member accuses CashCrate of allowing third parties to throw the same surveys at members repeatedly. Another complains that they were not credited for work they completed and that the site does not refresh its offers frequently enough. Another particularly disappointed reviewer states that they like CashCrate, but that they hope the site might act with more responsibility towards its members in the future. Venture beyond Survey Police and things feel slightly more genuine. A few call the site a waste of time, but most give it good marks for its customer service and prompt payment. Nearly all consider the site to be legit. Their accounts corroborate our opinion that CashCrate can be rewarding if you stick with it. How much you make really depends on where you choose to spend your time on the site. CashCrate is by no means perfect. Perhaps the worst thing about it is that payment for an offer or survey can sometimes be as low as fifteen cents. Depending on their activity on the website, it could take anywhere from a couple of days to as long as a month for a user to reach the necessary twenty dollar redemption amount. The PayPal system on the website is frankly inadequate, CashCrate requiring that you cash at least one check and reach a certain tier on the site before they will allow you to transfer money electronically. Your success on CashCrate is also dictated by where you live. Their offers and surveys seem to be targeted at North American users, and European users to a lesser extent. Those members living outside these regions, say in Australia, have a much lower chance of finding offers, particularly the most valuable ones. Hopefully you paid attention to the second paragraph, because CashCrate has been accused by some very unhappy reviewers of selling member emails and other information to third parties. These third parties then inundate members with spam and cold calls, calls which a number of members have reportedly had to pay themselves. One reviewer alleged that within mere minutes of signing up he received three sales calls. This reason alone is responsible for a lot of bad reviews. It can be avoided however, as demonstrated by one savvy member. She not only created a dedicated email account for CashCrate but also a Google Voice number, which she gave whenever a phone number was required. She gave an average review, because although she found the site reasonable the email account she provided was absolutely flooded with spam. Amidst this members find that they get at least two or three survey invitations a day. Visit the site however, and you will find that there are a lot more surveys on the website than most members are available to take. Whether spam bothers you or not, it appears to be an unavoidable consequence of joining CashCrate. Overall, CashCrate is a fairly good survey and GPT site. It won’t make you millions but with perseverance you can generate a healthy supplement for your income through the offers, even moreso if you can get your friends involved. Their penchant for spam and their strange relationship with third parties might raise a few eyebrows, but their payment gallery and their enthusiastic user base strongly suggests that they are legit. In spite of their failings, CashCrate are a responsible and pleasant site to work with, a company that will address your issues and not merely shut you out like a lot of other survey sites attempt to do. Their website is pretty good too. If you are looking for a paid survey or GPT site to commit to in 2017, you could do a lot worse than CashCrate. 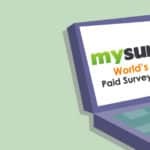 Kindly do read our review of Surveys For Money, a very good site that can be your steady source of income in 2017.